AARON MATÉ: It’s The Real News. I’m Aaron Maté. The Trump administration has announced it will keep US troops in Syria indefinitely. Even though ISIS has been defeated militarily in Syria, Secretary of State Rex Tillerson said US forces will stay to prevent it from reemerging. REX TILLERSON: The United States will maintain a military presence in Syria focused on ensuring ISIS cannot reemerge. Our military mission in Syria will remain conditions-based. We cannot make the same mistakes that were made in 2011 when a premature departure from Iraq allowed al-Qaeda in Iraq to survive and eventually morph into ISIS. AARON MATÉ: But the Trump White House is not hiding its other, and likely actual, goals. Tillerson also said the US wants to see regime change in Syria and to confront the presence of Iran. REX TILLERSON: Additionally, a total withdrawal of American personnel at this time would restore Assad and continue his brutal treatment against his own people. A murderer of his own people cannot generate the trust required for long-term stability. A stable, unified and independent Syria ultimately requires post-Assad leadership in order to be successful. US disengagement from Syria would provide Iran the opportunity to further strengthen its position in Syria. As we have seen from Iran’s proxy wars and public announcements, Iran seeks dominance in the Middle East and the destruction of our ally, Israel. As a destabilized nation and one bordering Israel, Syria presents an opportunity that Iran is all too eager to exploit. AARON MATÉ: Tillerson announced this open-ended military presence at a speech Wednesday at Stanford University, but it’s surprisingly gotten little attention. Meanwhile, this comes as the US may have already sparked a new armed conflict in northern Syria. The US-led coalition recently announced it is planning a 30,000-member border force with Kurdish fighters, angering Turkey. Now, Tillerson has walked that back, but Turkey is already shelling northern Syria and threatening a ground invasion. I’m joined now by two guests. 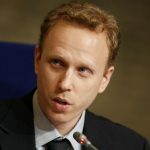 Benjamin Norton is an independent journalist and Max Blumenthal is a journalist and bestselling author. Together, they co-host the podcast, Moderate Rebels. Welcome to you both. Ben, I’ll start with you. Set the scene for us. What is going on right now in Syria amidst all these developments, Tillerson announcing this long-term US presence and now Turkey preparing a possible ground invasion? BEN NORTON: Well, what has essentially happened is there’s a kind of new phase of the war that’s emerging, which is very dangerous. And that is, Turkey is now waging a war openly across the border. Just today, Friday, it began shelling with artillery across the border in Afrin, which is a Kurdish-controlled, Kurdish-majority area in the north of Syria, which is in the Aleppo Governorate. Of course, the contradiction here is very extreme, where Tillerson went to Stanford, and he spoke about the importance of defeating ISIS and pursuing regime change in Syria. What he didn’t acknowledge is the fundamental contradiction in US policy right now and how the announcement a few days ago, which we’ll get more into, that the US was going to create a border force, a Kurdish-majority border force, very greatly angered Turkey. And now Turkey is attacking another US ally. So, you have the US government supporting Kurdish-majority forces, mainly the SDF, and also supporting Turkey, which is a NATO member, as they are waging war against each other. Tillerson goes out, he does not, he refuses to acknowledge this contradiction. He refuses to acknowledge the fact that the US is on both sides of this particular sub-conflict within the larger Syrian conflict and instead talked about the importance of toppling the Syrian government and defeating ISIS, even though ISIS is already largely militarily defeated. Again, I mean, this just shows the inherent contradictions of the Trump administration’s policy in Syria and how it’s actually escalating the conflict even further instead of de- escalating, which it claims it wants. AARON MATÉ: Ben, what is the US basis for this contradiction? Why do they feel compelled to provide support for both the Kurds while also trying to appease Turkey? BEN NORTON: Well, it’s of course, not entirely clear. US rhetoric very rarely matches US action on foreign policy, particularly on this conflict here. I mean, what it seems like the US is trying to do is wrestle the Kurds away from the Syrian government and try to use them in order to undermine the Syrian government, but that’s actually likely not going to happen because the Syrian government and the SDF, which is a coalition of groups that is primarily composed of the YPG, the Kurdish People’s Protection Units, they have a relationship with the Syrian government. They’re not nearly as antagonistic with the Syrian government as the US is. As Tillerson made very clear in his speech about calling for regime change, the US does plan on seeing the government of Assad absolved. I mean, dissolved, rather. They do want to see a new government in Damascus, and they are trying to pursue all of these different policies, and they can’t do that at this point. 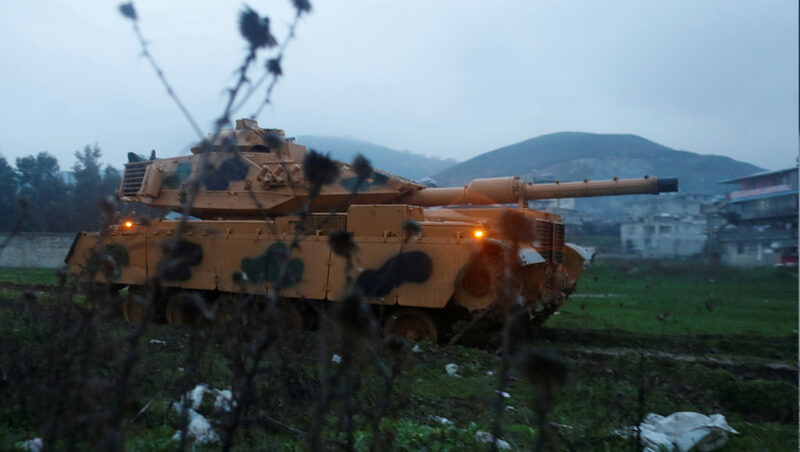 They can’t simultaneously support Turkey’s incursion in northern Syria. Again, Turkey is a NATO ally. And every time Tillerson speaks about Syria, he also stresses that Turkey is an important NATO ally. The US is trying to have its cake and eat it too. It wants the Assad government to be dissolved. It wants the Kurds to be allied with it but it also wants Turkey to be allied with it. And at the end of the day, these alliances are shifting. I mean, the role of Russia is not clear and we can get more into that. Russia may or may not support Turkey’s incursion in the north. Russia also has a relationship with the Kurds, and then of course, Russia supports the Syrian government. At the end of the day, I think what this really reflects is the very, the degree to which the US has really lost its grip on this conflict, and it’s desperately trying to exercise control over something that it has little control over at this point. AARON MATÉ: Max Blumenthal, what were your key takeaways from Tillerson’s speech? MAX BLUMENTHAL: Well, first of all, just following up on what Ben said and then getting into Tillerson’s speech. Our friend Dan Cohen, who’s a correspondent at RT, went down to Foggy Bottom two days ago to the State Department and put Heather Nauert, the spokesperson, on the spot about the contradictions in US policy, on completely antagonizing a NATO ally in Ankara by announcing the creation of a 30,000-strong Kurdish border force. We have to remember that the SDF is basically the idea of a US general who wanted to cover up its roots in the YPG, because the YPG is connected to the PKK, and the PKK is on the State Department’s list of terrorist groups. This is the real reason why Erdoğan has called that border force a terror army, and Heather Nauert could not answer the question. She wasn’t prepared at all to answer this basic question about this major contradiction in US policy where it’s basically pitted two allies against each other. Tillerson has tried to walk back comments about this being a border force at all to appease Turkey, and he said he would help answer Turkish concerns in his speech, but he has no way of doing that. I think the US completely underestimated what would obviously be the Turkish response, which is just sheer anger and now shelling. It appears that this absurd policy that the Trump administration has announced has started a war in northeastern Syria, in northern Syria. Why would they embark on such an absurd gambit? I think one reason lies in the extreme hostility to Iran in this administration and the belief, which is shared by Netanyahu in Israel and by the Saudis and UAE, is that Iran has essentially moved into the void left by ISIS, and so the US needs to maintain its presence to counter Iran. Now, just going back to the late ’90s, there’s an important document that I think will help put this failed or very, very contradictory policy into context. It’s the Clean Break document, which was produced for Benjamin Netanyahu when he first was elected Prime Minister by a group of neoconservatives in Washington through the Jewish Institute for National Security Affairs. This document puts Syria at the center of the neoconservative target board. It basically outlined a series of countries that should be targeted for regime change by the US, starting with Iraq, but then moving to Syria. Syria, they called for its fragmentation along sectarian lines, which has been kind of a goal for the US in fueling the Syrian Civil War, and that’s also what partly lies behind supporting this border force, is to break up Syria’s territorial contiguity. But they also saw Syria as a stepping stone to the real prize, which was regime change in Iran. Now, looking at Tillerson’s speech, where is his speech? His speech is at the Hoover Institution, the Hoover Institute, which is a nest of neocons at Stanford. Seated across from him, Condoleezza Rice, his predecessor from the Bush administration who, as Secretary of State, used the Israeli war in southern Lebanon and southern Beirut against Hezbollah as a pilot program for what she and the Bush neocons believed would ultimately lead to regime change in Iran through unilateral American military action. She called it “the birth pangs of a new Middle East.” Turned out to be the episiotomy of a new Middle East. It was a completely failed policy. So, Tillerson is basically revamping the Clean Break document, the Project for a New American Century. He’s fronting for the neocons at this point. In the audience at his speech was a Stanford professor named Kori Schake. She is a card-carrying neoconservative, former advisor to Mitt Romney. And she proclaimed in The Atlantic yesterday that Tillerson’s speech represented Trump’s complete folding to the National Security state. Basically, the consolidation of control of the permanent war state over Donald Trump. Basically, that Trump, while he delves into the culture wars, the rest of the administration has been handed over to the neocons. That’s very significant. However, Schake said that the Syria policy Tillerson outlined will fail because it’s simply not enough. And it will not achieve the real prize for the neocons, at least in the near term, which is regime change in Syria, as Ben pointed out. Removing Assad is a complete fantasy. AARON MATÉ: Just to explain one acronym that Max used there, for anyone who’s not familiar with it. The PKK is the Kurdistan Workers’ Party based in Turkey, also Iraq, and fighting for autonomy and independence against Turkey for a long time now. I want to go to more of Tillerson’s speech because he said something striking. This country has been destroyed by years of war, and Tillerson explicitly said that the US and other Western countries will not help with reconstruction in any area that is controlled by Assad. REX TILLERSON: The United States, the EU and regional partners, will not provide international reconstruction assistance to any area under control of the Assad regime. We ask all stakeholders in Syria’s future to do the same. We will discourage economic relationships between the Assad regime and any other country. Instead, we will encourage international assistance to rebuild areas the Global Coalition and its local partners have liberated from ISIS. Once Assad is gone from power, the United States will gladly encourage the normalization of economic relationships between Syria and other nations. The United States calls on all nations to exercise discipline in economically pressuring Assad and rebuilding Syria after a political transition. Our expectation is that the desire for a return to normal life and these tools of pressure will help rally the Syrian people and individuals within the regime to compel Assad to step aside. AARON MATÉ: That’s Rex Tillerson speaking on Wednesday. Ben, these words here reminded me of what we would hear in the ’90s about the need to impose crippling sanctions on Iraq, that by denying aid and money to the people, to Iraq, that would maybe stir unrest and force the removal of Saddam Hussein. What do you think this means, especially because the majority of Syrian residents will be living in territory controlled by Assad? BEN NORTON: Well, I’m very glad you highlighted this. First of all, because of the many reports, although actually there were not that many, of the few reports on Tillerson’s speech, in which he announced the basically perpetual US military occupation of Syria. I didn’t see any reports that highlighted this particular moment, which is very significant. I mean, what he’s essentially calling for is a kind of soft economic war on Syria. The US has come to the conclusion, have recognized the fact, at this point, that its past policy of regime change in Damascus has failed, and now the US is calling on countries throughout the world to try to economically isolate and strangle the Syrian government by refusing to fund reconstruction, by refusing to have economic ties with it and instead by having economic ties with other non-state forces on the ground. He doesn’t say what those are. It’s potentially militias. It’s potentially Kurdish forces in the north, but again, I think what this really underscores is the inherent contradiction of US policy and how things have really spiraled out of control for the US. The US thinks that it can just impose its will on the situation. I think the Trump administration thinks that it can use the SDF, the Kurdish-majority forces, to kind of create this de facto government on the ground, but again, the SDF still has normalized relations with the Syrian government and is still negotiating. They sell oil together. They share roads. The idea that the US can just force them to cut off all ties with the government in Damascus is ridiculous, but again, this is part of this larger process of isolation and strangulation. You raised a very important point about the historical context of this. Of course, when the US pressured the United Nations to impose one of the most brutal sanctions regimes in history on Iraq in the 1990s after the Gulf War, not only did that lead to the deaths of countless people, including many, many children who needlessly died, and the Clinton administration defended it, but it also strengthened Saddam Hussein. The goal was supposedly to weaken Saddam. It did the opposite. So, I don’t know why the US thinks that it can somehow just strangle the government in Damascus economically into submission and support other reconstruction efforts because China, Russia, Iran and other countries are not going to abide by this. They’re already working on reconstruction and in places like Aleppo and elsewhere. And again, we have these intense contradictions where Tillerson and the Trump administration say one thing and hope that thing happens, but in reality, the opposite is happening and they are not the ones in charge. AARON MATÉ: So, we have the open calls for regime change, open calls to confront Iran. And the other piece is this claim from Tillerson that the US is staying to confront not just ISIS, but also al-Qaeda, which has developed its largest safe haven since 9/11. Let’s go to one more clip of Tillerson. REX TILLERSON: Ungoverned spaces, especially in conflict zones, are breeding grounds for ISIS and other terrorist organizations. The fight against ISIS is not over. There are bands of ISIS fighters who are already beginning to wage an insurgency. We and our allies will hunt them down and kill them or capture them. Similarly, we must persist in Syria to thwart al-Qaeda, which still has a substantial presence and base of operations in northwest Syria. As in the years before 9/11, al-Qaeda is eager to create a sanctuary to plan and launch attacks on the West. 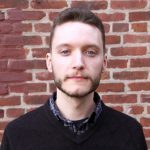 AARON MATÉ: Max, I wanted to get your take on this because one focus of your work has been explaining to people the role of the US in fueling the rise of both ISIS and al-Qaeda in Syria and neighboring Iraq. MAX BLUMENTHAL: Yeah. That’s a great question. I mean, the irony of Tillerson’s comments can’t be understated. The US is, I wouldn’t say exclusively responsible, but largely responsible for the fact that al-Qaeda and its rebranded local affiliate, Hay’at Tahrir al-Sham, which used to be known as Jabhat al-Nusra, is in control of the Idlib Governorate. There’s a city Idlib, and then there’s a large area of land that al-Qaeda’s local affiliate substantially controls. And it’s basically gobbled up all of the other Salafi militias, including the Free Syrian Army. We ran a piece at AlterNet by Lindsey Snell, who’s one of the few American reporters who got into Idlib and reported on how heavy weapons were basically being shipped by the US into Idlib, and Jabhat al-Nusra, al-Qaeda’s local affiliate, was just seizing them from the FSA, and the FSA’s fighters were basically joining Jabhat al-Nusra in droves because they shared its ideology, because they were the best fighters, because they were getting loads and loads of additional support from Qatar. This is what enabled the offensive of 2015 to succeed and drive the Syrian Army out of Idlib. It also resulted in the destruction of Idlib’s Christian population, the destruction of its Druze population. These ethnic minorities experienced incredible, terrible, genocide-level hardships at the hands of US. proxies. And all along, Washington was denying the presence of al-Qaeda. Even Sam Heller, who’s at The Century Foundation, who’s, had been a supporter of regime change, who had called for more US arms to militant insurgent factions like Nour al-Din al-Zenki, a Salafi group that eventually joined the coalition with al-Qaeda, pronounced the Free Syrian Army, the CIA-backed US group, to be backfill for al-Qaeda and ISIS, And now we’ve learned through a report by British researchers that extensive amounts of US arms have turned up in the hands of ISIS. I don’t know if they turned up there or they were directly funneled there through Turkey. Many ISIS fighters are flocking to Idlib and bolstering the ranks of al-Qaeda’s forces there. And so, all of a sudden, in 2017, Brett McGurk, who’s the head of the US coalition against ISIS, I mean, you can barely call it a coalition at this point given what’s happened with Turkey. Brett McGurk starts threatening Idlib, calling in US airstrikes against Idlib. The US is basically trying to clean up its own mess, but the real work is going to be done by the forces that have substantially defeated ISIS and al-Qaeda on the ground. That’s the Syrian Army, which represents the government in Damascus of Bashar al-Assad, Russia and Iran. These groups are essentially on the same side as the US if the US actually wanted to advance its own National Security interest, but in Syria, it hasn’t. It’s been advancing the interests of Israel and Saudi Arabia, and formerly of Turkey. Finally, and I think Ben can speak to this. The Kurdish SDF controls the area all the way up to Manbij down to Raqqa, which is not a Kurdish area, all the way to the tip of northeastern Syria. If you move west from that area, there’s a little pocket between Afrin and Manbij that’s still controlled by Salafi Syrian rebels. Basically what the SDF has done is kind of created a buffer between those rebels and northern Aleppo, which is controlled by the Syrian government So, it’s unclear that the Syrian government wants to take on the SDF there when they’re serving kind of an important role. It’s unclear that the SDF will be a completely faithful US ally. We have to remember these are Syrian citizens, and the government in Damascus does seek negotiations with them and believes it can deal with them. So, here’s another problem in the US’s plan. AARON MATÉ: Ben, as we wrap, you know, you were talking before about contradictions. Well, doesn’t this raise another one, where if the goal is regime change, then how do you square that with the fact that the main fighters against the regime, the regime’s primary opponent, has been the jihadists in al-Qaeda and ISIS, who the US is claiming to want to defeat? BEN NORTON: Well, this has been the fundamental contradiction of the war in Syria for many years. But something that Max just said is very important, and another one, another just layer of contradiction in all of this is the fact that the so-called Free Syrian Army, the FSA, which was CIA-vetted, armed with anti-tank TOW missiles, etc., at this point, basically the only existing FSA militias in the north of Syria are all Turkish proxies. They have basically all just joined the Turkish Army and are fighting alongside it. And there were reports, in fact, that today, Friday, that there were 20 buses full of FSA fighters that went across the Turkish border into northern Syria in Turkish-controlled territory that’s occupied Syrian territory, east of Afrin, in order to fight the Kurds. And if you look at the SDF’s statement, the SDF said that they’re not only going to fight ISIS and Turkey, they’re also going to fight what they call the jihadists in the FSA, which are backed by Turkey. Again, we have this so-called FSA, this Free Syrian Army, which was more branding than anything else, so never really existed as a unified political force. It was just anyone who wanted to use that name just used it. And now we have this former CIA-vetted proxy force that is working with Turkey, a NATO ally, fighting Kurdish forces, which are also backed by the US. And the US says that it wants everyone instead to just move their attention against Iran and Damascus, even though, like Max just said and as I’ve stressed, the SDF has normalized relations with Damascus. And another critical point in all of this is that the Syrian government also opposes Turkey’s military intervention inside its own country. So, Turkey is militarily intervening and has been since August 2016 across its neighbor’s border against the will of its sovereign neighbor, and again, Turkey is a NATO ally. These many layers of hypocrisy and contradiction, they underscore the fact that the US, Turkey, Saudi Arabia and Qatar have spent at this point nearly seven years trying to wage war against and destabilize the Syrian government unsuccessfully. They have lost. They’re trying to, in the last gasps of air, trying to get whatever they can and pull it back for them, But Turkey’s incursion in this country is not authorized and the US’s military incursion and subsequent occupation even after ISIS is defeated is also not authorized. Syria is a sovereign country and there are multiple countries who are militarily intervening without the consent of any of the people who actually live there. This should be a huge scandal but there’s very little attention to it. BEN NORTON: … the peak of hypocrisy. MAX BLUMENTHAL: … What does that … Can I just jump in quickly? I mean, what does that mean for Europe? How are refugees from Syria going to return home when the US is waging an economic war to destabilize the areas they came from, and when we know that sanctions are a key reason in why so many Syrians have left along with the civil war? This is going to be a huge impediment for refugee resettlement, either in areas in Syria or in their cities and towns of origin. So, what does the EU think of this? What does the German government, which has welcomed in one million Syrian refugees, think of this? It’s another contradiction in the US policy where the US is essentially stabbing its allies in the back. AARON MATÉ: Max, let me ask you quickly as we wrap. Tillerson made a comment addressing Americans who he said might be skeptical of the US staying in Syria and dealing with “such a troubled country,” I believe were his words. Did you take that as perhaps Tillerson sort of paving the way for a public talking point in which the administration will ask the public to accept American casualties in Syria? MAX BLUMENTHAL: Absolutely not. Absolutely not. I mean, it’s pretty clear the US would like to keep this war, or, excuse me, would like to keep its presence, the presence of American troops, as under acknowledged as possible. That’s kind of the same policy that AFRICOM has employed and why it was such a shock to Americans and such a PR disaster for the Pentagon that actual casualties had to be reported in mainstream news in Niger. I think it was two months ago. Yeah, if there are casualties, the American public is going to react extremely negatively to the presence of US troops, and there very likely could be. If we go back to last year, when the US troops, which were training a group of rebranded Salafi insurgents, “moderate rebels,” at the al-Tanf border crossing between Iraq and Syria, the US engaged in actual combat with Shia militias allied with Iran. That’s extremely dangerous and beyond US troops being killed, the prospect of an escalation with Iran should trouble everyone. As Ben pointed out, this is a huge scandal that’s gone totally unacknowledged, including by progressive media in the US. AARON MATÉ: We have to leave it there. Max Blumenthal and Ben Norton, independent journalists, co-hosts of the podcast, Moderate Rebels. Thanks to you both. MAX BLUMENTHAL: Thanks for having us. BEN NORTON: Thanks for having us.